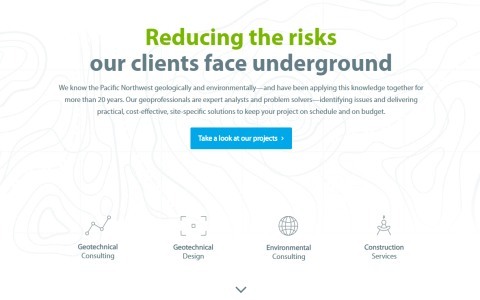 This intriguing site was built for a geological engineering firm. A lot of custom programming was done here to show the many aspects of their work in a stylish manner. Bonus points for the fun business name.